I’ve been acting professionally for almost nine years and my career has been blessed with the different turns that it takes. The solidarity between the black womxn in this difficult industry is the sole thing that has kept me grounded and affirmed. While misogynoir regurgitates itself year to year, spread across art form to art form; knowing that there is a purposeful and active existence and resistance from the womxn that look like me makes it easier to handle. ‘Diversity’ isn’t just what you see on screen. You have to diversify the gate keepers – the people who make and commission the content. We are here and we exist. 2016 hands down has been an impeccable year for black womxn in the UK. The Unmasked Women exhibit opened the doors for the necessary conversation around black womxn and mental health. Chimamanda Ngozi Adichie is now the face of BOOTS No.7 range. Content after content is being comissioned, shared and celebrated and we are over the moon. Representation matters. We know this. 2016 provided us with month after month of diverse #blackgirlmagic appreciation and visibility. In case you missed it, take a seat, get comfortable and get ready for the seven black womxn who are dominating film, television and theatre. In front of the lens, working the lens and writing for the lens and stage, what has 2016 given them? If you’re a Harry Potter fan you already know who im talking about. Currently playing Rose Granger-Weasley (Hermione and Ron’s daughter) in JK Rowling’s world premier of Harry Potter and the Cursed Child alongside the powerhouse Noma Dumezweni as Hermione. Skeete is no stranger to the stage. Her already impressive CV includes two stints at the National Theatre (Three Days In The Country and Amen Corner), the Young Vic theatre and the beautiful Royal & Derngate. This year, she starred in Lenny Henry’s Danny and the Human Zoo for the BBC directed by the amazing Destiny Ekaragha. We’re watching and listening Cherrelle and applauding your success. Book tickets to watch Cherrelle alongside Noma in the record-breaking production that brings you closer to Hogwarts. If you have been glued to Bafta-winning Michaela Coel’s Chewing Gum for e4 then Cynthia rings every bell. 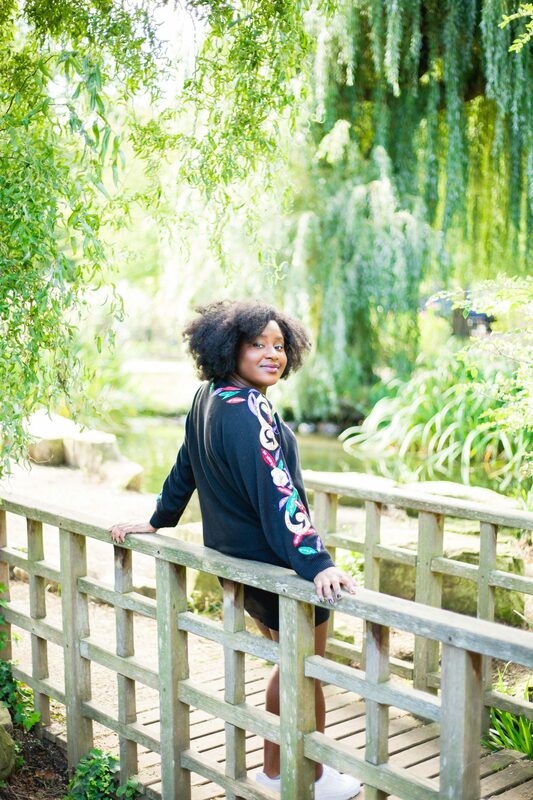 Currently starring lead in Channel 4 and Netflix’s highly anticipated comedy/horror Crazyhead, Susan Wokoma is absolutely killing it. Wokoma is a force, starring in the feature films Burn Burn Burn, Half of a Yellow Sun (featuring Chiwetel Ejiofor and John Boyega) and television shows such as Misfits, Crashing and Bluestone 42. Susan is also a writer and trained at RADA. The Royal Court, the National Theatre, the Bush and Almedia are just some of London theatres she’s performed at. If that weren’t enough, Susan is currently developing her own comedy series with Cave Bear productions. Having made five short films and winning an award for one of them, Dionne Edwards is not to be slept on. Working under the name Teng Teng Films alongside producer Georgia Goggin, her last short Hi, Miss! is still screened at festivals worldwide and won the Audience Award for Best Short Film at the East End Film Festival 2015. Her follow-up film We Love Moses is supported by Film London, Signature Pictures and the Sugar Films Lab and premiered at the BFI London Film Festival 2016. It will also screen as part of BFI’s Black Star season and BAFTA qualifiers Underwire 2016 and the London Short Film Festival in 2017. 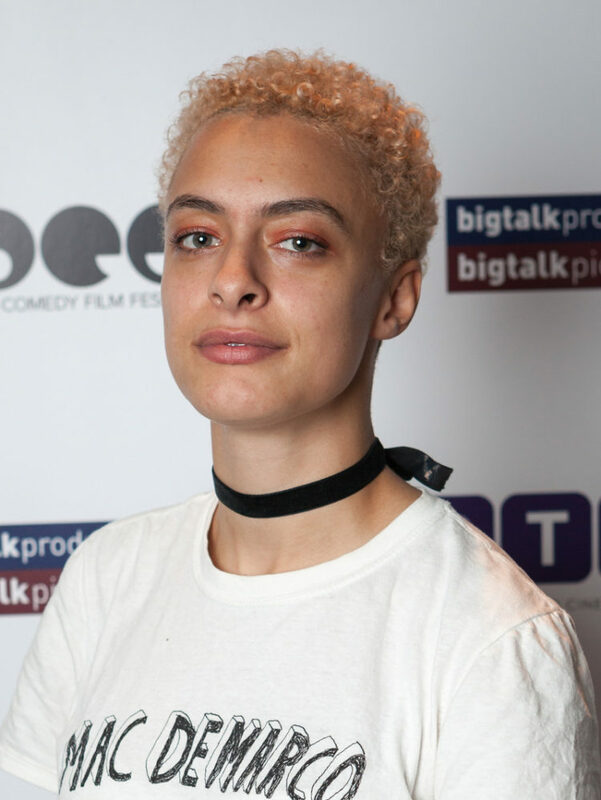 This year Dionne was invited to the BFI Flare LGBT Filmmakers’ Mentorship with writer/director Desiree Akhavan (Appropriate Behaviour) as her mentor. Catch We Love Moses as part of the BFI’s Black Star season and keep up to date with Teng Teng Films. Remani writes and makes film independently mainly for the purposes of self-expression, healing and greater self-awareness (we’re so grateful). She’s inspired by all women – brave or afraid, yellow or green, ‘right’ or ‘wrong’, family members, friends and strangers. Remi doesn’t think we share enough. She wants to see more self-affirming spaces: on TV, social media, within our communities, within our families and in our own minds. Her latest project Love Doc is doing amazingly well and she has been invited to Cape Town and Johannesburg to showcase this beautiful documentary. Love Doc was inspired by something she wished existed: a safe space to speak her truth with people who are ready to listen. She is currently developing workshops to give young the ‘How to’ self love. ‘2016 has allowed me to witness the power of an idea and honoring your passion. I had one idea to make create a project (Remani Love Project) that addressed my needs and would hopefully inspire others. Catch Love Doc as a part of the Red Bull Amaphiko Film festival this October. Stay connected here. From the all-woman film collective Sorta Kinda Maybe Yeah (SKMY) Laura is dominating this year. After completing a screenwriting course at Central Saint Martins, Laura co-founded the female film collective Sorta Kinda Maybe Yeah with two friends in April 2015 and over the next year they created the hilarious web series by the same name which Laura wrote and it has since been featured by Dazed, i-D, ASOS and GIRLS / CLUB to name a few. The web series was born out of their collective frustration at the lack of female-centric content coming out of the UK mainstream media that they felt spoke to and represented them as young, diverse women. SKMY have also just made a film called Rabbit for the 48-Hour Film Project. Laura has been awarded a place on the Betty Box & Peter Rogers Comedy Writing Programme which funds four writers for seven months to complete a TV pilot or film script. It was set up by LOCO (London Comedy Film Festival) and the CTBF (Cinema and Television Benevolent Fund), and Big Talk Productions. Go you Laura! ‘2016 has been amazing in terms of really becoming part of this amazing DIY, very female-centric scene that’s happening at the moment. Everyone is kind of sick of not being represented enough, accurately, or at all in mainstream media, and are coming together to create stuff themselves. ‘There’s this really beautiful sense of community and support, you all go to each others’ events and you start to see the same faces and you all help raise each other up. We’ve particularly become close with Reel Good Film Club, three girls who run events and screenings which centre people of colour both in front of and behind the camera. ‘They’re like our more accomplished little sisters (just casually programming events at the BFI and the V&A Museum, no big deal) and we love them to bits. Are you ready for Cecile Emeke’s Ackee and Saltfish to grace us once more? Meet the director of photography! 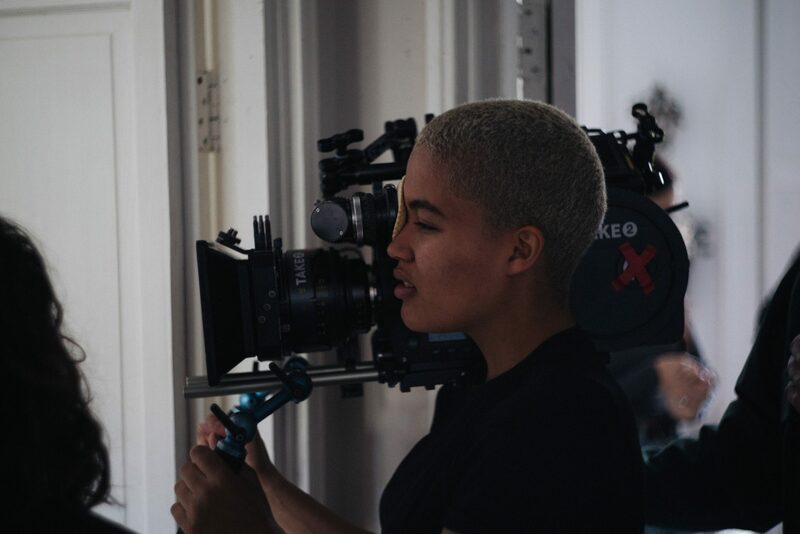 Having gone straight into working in the camera department after leaving sixth form, (woah) Mahalia is currently pursuing a career as a Director of Photography. She works as a camera assistant and camera trainee on TV dramas, features, short films, music videos, and commercials. Catch Mahalia making me look beautiful in Ackee and Saltfish out soon and her latest work from Ama Lou’s debut single TBC. This Nigerian-British playwright from Peckham in South London studied at South Bank University before winning a scholarship to study law. Her first play Liberian Girl was phenomenal – and in 2013 it won the prestigious prize Alfred Fagon award! Her play Liberian girl opened at the Royal Court Theatre in 2015 to widespread acclaim. The lead actress Juma Sharkah, was nominated for a Laurence Olivier Award and Atuona was nominated for the London newspaper Evening Standard Award as Most Promising Playwright and the Writer’s Guild award for Best New Play. She is currently working on projects for film and TV at the moment and has an attachment with Headlong and a commission with The Old Vic and Royal Court. This is part of a guest editorship series by Vanessa Babirye and Michelle Tiwo from Ackee and Saltfish. They’ve produced a series of pieces for TRUE Africa which show how they see the world and the African part of them. More here.